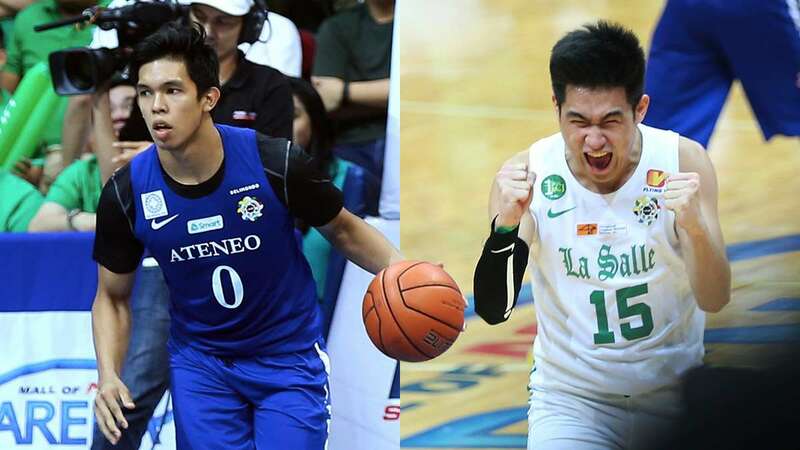 The Ateneo Blue Eagles and the De La Salle Green Archers both went through divergent paths to get to the Finals, each narratively distinct yet both mired in signature UAAP basketball drama we’ve come to expect this close to the end. Before the historical rivals hit the hardcourt once more, the FHM fan crew tries to decipher the inevitable outcome when the Unstoppable Green meets the Immovable Blue this Saturday. If anything, UAAP Season 80 deserves an award for sheer outstanding drama. On the cusp of its first regular season sweep, Ateneo shockingly lost two straight against La Salle and FEU—the latter a total demolition in Game 1 by Ron Dennison, and former Ateneans and current thorns-in-their-sides Hubert Cani and Arvin Tolentino. Ateneo had to reach the Finals the hard way: through late game shots by Matt Nieto and Thirdy Ravena, and through the transcendence of one George Isaac Y. Go, who pulled out an unlikely “called it” three-pointer to send the game into overtime. Go was also responsible for the shot that will forever be enshrined in the zeitgeist of WTF basketball—the kneeling shot. La Salle had its own moment in the semifinals, but for more nefarious reasons. One look at the 82-75 win of the Archers against the Adamson Falcons and it would seem like the game was competitive—and it was, but with a caveat. The Archers had a 33-12 advantage on fouls and a 39-5 advantage on free-throw attempts, with Ben Mbala accounting for about a third of them. The Archers dominated the boards (50-35), and maximized interior scoring en route to a fiery win that saw all three referees suspended post-game. DLSU relied heavily on their size, with Mbala and forwards Ricci Rivero and Santi Santillan contributing 70% of all FG made. And yet, the game was close; a testament to the grit, guile, and the furious three-point shooting of Adamson (31% ADU vs 10% DLSU). In a matchup that favored scoring over shot-making, DLSU came out on top, but not without its scrapes and controversies. 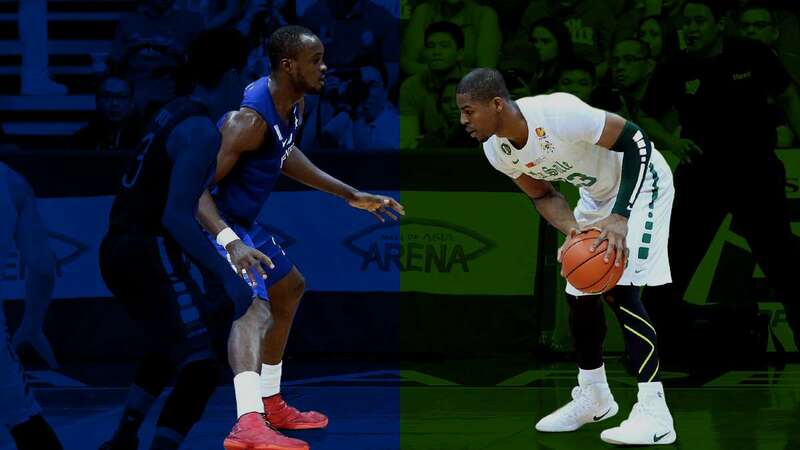 This Saturday, both Ateneo and La Salle will try to look past their semifinal successes and face each other in a bloodbath for basketball supremacy—what makes this fun is we have never seen two teams as stylistically opposed to each other in a long while. As I sat in the losing side of the Araneta Coliseum last Sunday, I wondered how bad Ateneo’s three-point shooting was: Asistio and Nieto were clearly chucking bricks all game and stinking up the scoreboard. Turns out it wasn’t at all—Ateneo shot 32.65% in Game 1, about the same as their league-leading 33.1% average all season. Rather, it was their scoring inside the arc that was suspect. Since Ateneo’s first loss to La Salle (44.7% two-point FG), the Eagle’s 2PT shooting has dipped progressively (41.0% vs FEU Game 1 and 38.3% in Game 2), leading to the realization that, after 14 games, opposing teams have finally discovered that Ateneo struggles with scoring the ball without their 3PT shooting. They simply aren’t tall nor talented enough for one-on-one basketball. For all of Thirdy’s athleticism, he’s still an undersized power forward with a wonky drive that is as susceptible to be whistled for traveling as much as a baited foul. Ateneo’s best natural scorers are all below six feet: Tyler Tio (5’9”), Jolo Mendoza (5’10”), Matt Nieto (5’11”). Aaron Black and Gian Mamuyac, while both excellent defensively, inspire fear with every jump shot (in a bad way). And Chibueze Ikeh, in as much as he has improved in Season 80, simply isn’t strong or skilled enough to battle tougher centers consistently. Ateneo makes up for this with an excellent, league-leading defense (1st in points allowed*, in 3PT FG allowed, and second chance points allowed*). Each player makes up for their weaknesses with discipline and diligence in small things, as well as a selflessness that lends well to Coach Tab Baldwin’s brilliant ball movement that unlocks the space required for Nieto and Asistio to hit their threes. However, Ateneo falls in the middle of the pack in 2PT FG% allowed, and this is music to La Salle’s ears. Ben Mbala anchors a very talented DLSU team that thrives on unpredictability. 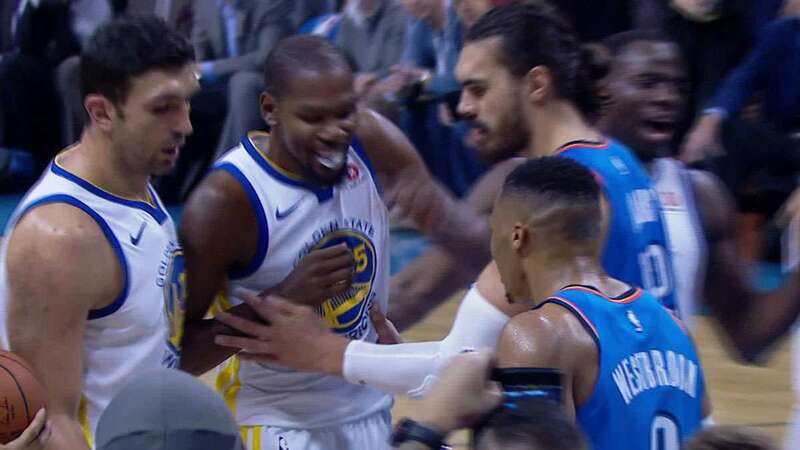 The reason is simple: the league’s most dominant player (1st in points, 3rd in rebounds, 2nd in blocks) can always clean up after an ineffective play. Mbala’s scores roughly 33% of the Green Archers’ total points against Ateneo and does so across the scoring spectrum: offensive putbacks, bully-ball stabs, alley-oops, and jumpers. He is the polar opposite of every Ateneo player: he can force any shot, anytime, anywhere, because he’s good enough to do so. This gives La Salle more liberty to experiment with high-octane offense: high-risk, handsy defense by Kib Montalbo (2nd in steals) that almost always converts to fast breaks or an easy dunk by Mbala; herky-jerky isolation plays from Aljun Melecio (who may or may not shoot too much at times), and pinpoint daggers from Jollo Go and Andrei Caracut. Incumbent phenom Ricci Rivero plays to every ounce of his athleticism and silky-smooth footwork by slashing through defenses and making the right play at the right time, serving as the stabilizer in a mostly erratic lineup. Most of La Salle’s offense begins early in the possession, requiring aggressive shadowing from the inbound to center court. As the shot clock gets deeper and defenses get more established, DLSU’s chaos fades away and becomes a practice in steamrolling in the paint, led by Santillan, Prince Rivero (aka king of the reverse stab), and the almighty Mbala. La Salle’s offense is an immediate threat to opposing teams that miss a lot of their shots—a poor FG% will most certainly lead to an easy Mbala rebound and would jump-start a blitz to the basket. It makes sense for La Salle to restrain their long-range shooting a bit; as the two Ateneo games showed, the Eagles have effectively neutered DLSU’s three-point shooting (25% in two games, 31% regular season), forcing them to go inside. This is the reason why both games were close—DLSU was forced to value each possession instead of chucking a lot of inefficient hero shots. Simply put: Ateneo makes a living off the three, and DLSU are masters of the paint; Ateneo prefers a slower, deliberate pace, and La Salle would rather try to outshoot and outrun anyone. Ateneo will almost always wait for an open shot, while DLSU will shoot anything they believe they can sink. However, despite playing in contrasting styles and pace, many of Ateneo and La Salle’s players have eerily similar contributions to the scoreboard. Ateneo enforcer Vince Tolentino and “Mr. Backdoor” Prince Rivero are 2nd and 3rd in 2PT FG% respectively. Matt Nieto and Jollo Go are 1st and 2nd in 3PT FG%, respectively. Thirdy and Ricci Rivero are 5th and 7th in PPG. Thirdy and Montalbo are 7th and 8th in Assists. Mbala is 3rd in rebounds, but the tandem of Ikeh and Thirdy are 7th and 8th as well. This matchup will likely boil down to who shoots well in the clutch, and here La Salle seems to have a clear advantage: Mbala may very well be the best shot any collegiate team can have at getting a successful field goal. Ateneo does not have a clear go-to guy in the clutch, and this can either be good or bad: not having a go-to guy can mean that the shot can come from anywhere and anyone; but it also means that when Ateneo desperately needs a solid shot, their undersized players will have to work extremely hard to get it. Thirdy had always been known as a swiss knife “do-it-all” basketball player in the Juniors, but will he finally get it together and score for the Eagles when they need it most? Will Mbala stop shooting threes and instead pass to open outside shooters? Will Kib Montalbo be the catalyst or downfall of the Mayhem offense? Will Anton Asistio shake out of his shooting slump? Will the Nieto Bros move past the Rivero Bros? These are just a few questions to get the Finals started, and you can be sure that there will be more drama developing in the next few days—after all, it makes sense to embellish what is already the most recognized rivalry in Philippine collegiate sports.